 The January DEVC meeting will be on Saturday the 19th from 12:30 to 2:30 PM in the Lakewood Meeting Room at the Jeffco Library at 10200 West 20th Avenue in Lakewood. This will be a business meeting for the annual election of officers for President, Vice President, Treasurer and Secretary. We will also confirm additional DEVC Board Member appointees for Webmaster, Newsletter Editor, EV Conversion, Education Outreach, Facebook and two at large positions. The meeting will then be open for input from the members and visitors on the upcoming 2019 DEVC meetings, events and activities. If you would like to run for any office, be considered for any appointed position, or provide written input, please email David at jdmc44@comcast.net.